BmiSmart I-Remove is a fat binder that’s only available in America, but it’s made in Europe, where it’s marketed as XLS-Medical Fat Binder. 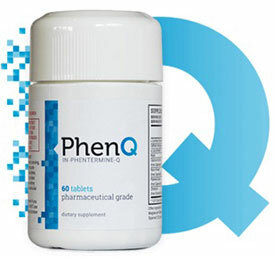 The manufacturing process is carried out in Germany and the manufacturer (InQpharm) wants American buyers to believe their product is the hottest selling weight loss product in the continent. They provide no proof to back up this grandiose claim and the truth of the matter is, although XLS-Medical is a respected brand, the formulation used in BmiSmart I-Remove is the same one used in the company’s original fat binding product. 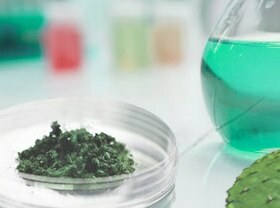 This has allegedly been improved upon a couple of times and the latest version, XLS-Medical Max Strength, is claimed to have 33% more power than InQpharm’ s first product; so the formulation of ingredients used in BmiSmart I-Remove could be seen as being outdated. Claims: To bind dietary fat and encourage a feeling of satiety. Positives: Respected company, good mechanic of action. Negatives: We prefer products that offer multiple benefits. Fat binders are powered by ingredients that absorb a percentage of the fat provided by food and shield it from the digestive enzymes. Fat contains nine calories per gram, but the calories can only influence body weight if they are digested and absorbed, so fat binding products can and do help reduce calorie intake. If the compound formed by the fat binder and bound fat is sufficiently voluminous to create a feeling of satiety in the stomach, fat binders may also provide some degree of appetite suppression. BmiSmart I-Remove is powered by patent protected cactus extract called Litramine, It’s taken from a species of cactus called nopal (Opuntia ficus indica) and scientific investigation proves it has the ability to significantly increase faecal fat levels, so it’s certainly a fat blocker that works. However, fat binders and other forms of fat blocker, no matter how good they may be, only offer an extremely restricted level of help. The best diet pills provide support in multiple ways. BmiSmart I-Remove will block fat absorption and it might help curb some people’s hunger urges a little bit, but that is all it will do and, for most people, that may not be enough. Usage Guidelines – The recommended dose is two tablets, three times per day. The tablets should always be taken with liquid and the manufacturers suggests drinking at least eight glasses of water each day. Unlike many similar products, BmiSmart I-Remove is intended to be taken after a meal instead of before but it’s important the pills be taken within 60 minutes of eating. The minimum usage period is 30 days. 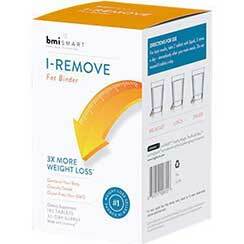 BmiSmart I-Remove is not intended to be used by women during pregnancy or while they are breastfeeding a child. People who have existing health problems should get a doctor’s approval before using any brand of weight management product. Other than occasional stomach pains, fat blockers are not generally associated with side effects. However, people who are using them alongside a diet that provides a lot of fat to block will run the risk of diarrhoea and could face additional problems if they are unable to make it to the toilet in time. People using fat blockers would also do well to consider using vitamin supplements. The fat-soluble vitamins, A, D, E, and K have to be obtained from fat. Using fat blockers may lead to a vitamin deficiency and fat-soluble vitamins are necessary for good health. Americans should be able to find a local supplier. They can also buy BmiSmart I-Remove online from Lucky Vitamin and Walgreens, but it’s not available here in the UK. However, XLS-Medical products are easy to purchase online and you can also buy them from Boots and other leading pharmacies. BmiSmart I-Remove is not backed by a money back guarantee. BmiSmart I-Remove may help some people to lose a little extra weight, but customer reviews show it does not work for all and there is no money back guarantee. People who are serious about losing weight, and don’t want to risk throwing their money away, would be far better off buying a multifunctional diet pill. We have reviewed many of these and the best ones are listed on our approved product page. They offer dieters the best chance of success and all our approved products are backed by a money back guarantee.